Lake Union Publishing, 9781503903388, 364pp. Manhattan, 1850. Born out of wedlock to a wealthy socialite and a nameless immigrant, Cora Lee can mingle with the rich just as easily as she can slip unnoticed into the slums and graveyards of the city. As the only female resurrectionist in New York, she's carved out a niche procuring bodies afflicted with the strangest of anomalies. Anatomists will pay exorbitant sums for such specimens--dissecting and displaying them for the eager public. Cora's specialty is not only profitable, it's a means to keep a finger on the pulse of those searching for her. 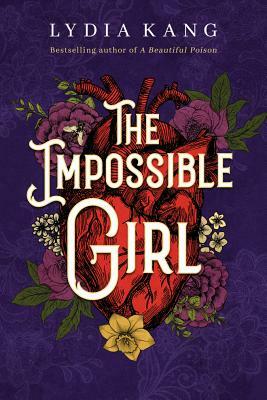 She's the girl born with two hearts--a legend among grave robbers and anatomists--sought after as an endangered prize. Now, as a series of murders unfolds closer and closer to Cora, she can no longer trust those she holds dear, including the young medical student she's fallen for. Because someone has no intention of waiting for Cora to die a natural death.